Waste management, which used to be an onerous task and a risk factor in terms of hygiene, can now be largely automated, resulting in cleaner kitchens and safe hygiene, both for your guests and for your staff. With our solutions, the storage in open containers and manual handling of kitchen waste is avoided. Instead, the waste is transported from the kitchen into a tank, which is positioned to allow easy access for collection by a vacuum truck. Diskomat has the knowledge and the products necessary to fulfil the modern catering kitchens' high demands on efficiency, hygiene and safety. We customise solutions to suit your business. We base our solutions on the amount of waste that is formed and the type of waste that you deal with. Restaurants and caterers face strong demands for efficiency, hygiene and safe handling of food. Diskomat offers knowledge, waste systems, and experience from projects for the nursery to big hospitals and canteens. We start from the amount of waste and the type of waste to be handled when we present a unique solution for your business. The requirements of hygiene in hospitals is high and the corresponding requirements on the safety of the waste. 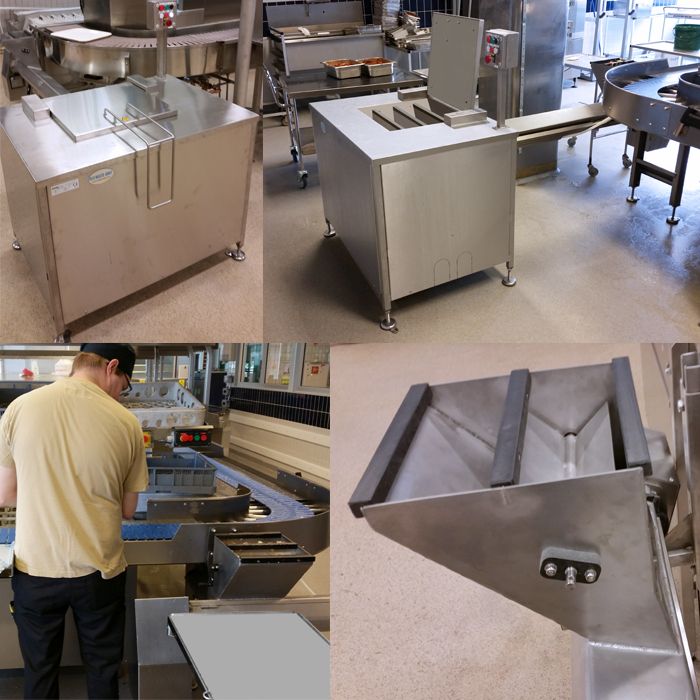 Diskomat creates silent, hygienic and closed efficient solutions for waste management for the hospital kitchens and staff restaurants. We have developed the Eco Waste Away, a waste system that handles up to 2 000 liters of food waste per hour. Eco Waste Away collects and transports the organic biodegradable food waste from the kitchen to a tank. The waste is emptied into a hopper on the bench, ground into a paste carried by vacuum suction through a pipe to a storage tank. One to two times a month emptying by slurry tank car and transported to a facility that converts mass to the new environment-friendly CO2 nutral energy in the form of biogas and fertilizer.